500km done of my fake bike trip! Just over 5 weeks in, so averaging around 100km/week, mostly intense stuff on the trainer (or sloppy slow stuff in the snow!). That puts me somewhere near Spanish, Ontario. 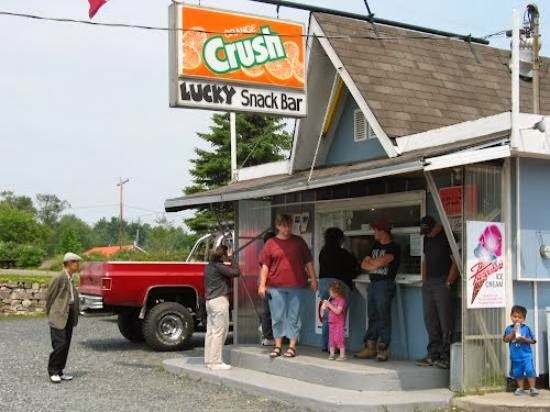 I guess I'll pop by Lucky Snack Bar? Ontario is huge... 500km in and I'm barely even around Georgia Bay, with a long slog around Lake Superior still to come. 2869km to go! Next up - Sault Ste-Marie.